Put the date in your diaries! 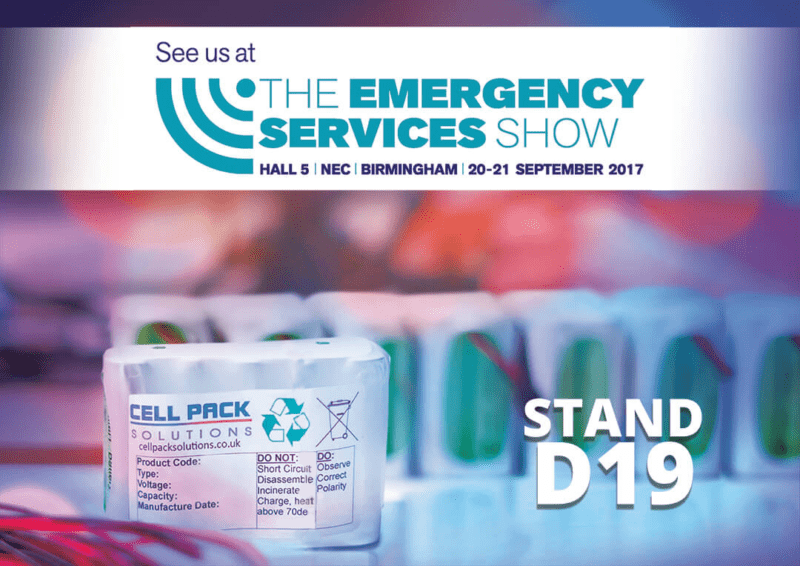 We will be exhibiting at The Emergency Services Show this year with our partners GP Batteries. Look out for us on Stand D19, where our experts will have a selection of Custom Battery Packs and Battery Chargers. We will have a number of Lithium, NiMH and alkaline packs, which have served numerous emergency forces across the UK for over 15 years, using cells from our world class suppliers: GP Batteries, Tadiran Batteries and Saft Batteries. Our custom battery packs have continually developed and have fulfilled the ever changing demands of the industry. We are always looking to further develop our packs and are eager to discuss these with new and existing customers. Battery chargers by Mascot will be part of our selection. Mascot chargers are engineered for efficiency and reliability, with the addition of intelligent charge control, multiple protection features and bright LED indicators. We always recommend using Mascot chargers to maximise the potential of our rechargeable packs. GP Batteries will be launching their brand new series of Beam Torches; but we’ll let them tell you all about that. If you are attending, be sure to take the opportunity to discuss, or start new projects with our experts.